The singer and actress Leila Mourad appeared in 27 films and sang over 1,000 songs, many of which became classics and reserved her a space among the greatest Arab vocalists of the golden age of the 20th century. Until today she is considered to be one of the greatest Egyptian singers, second only to Umm Kulthum. The career of the beloved diva was however not immaculate which in many ways can be related to her Jewish background, the foundation of the State of Israel in 1948, and the reception of the same event by Egypt and other Arab states. Mourad's story therefore mirrors to some extent the history of Egyptian Jews from being an integral part of Egyptian society to being considered a fifth column and a potential threat to the country. Mourad was born in Al Daher, Cairo in 1918 to a Jewish family. Her father Zaki Mourad was a hazzan, a Jewish cantor, as well as a successful composer, who motivated his children to follow his footsteps and become musicians as well. Leila's coming of age in a musical home coincided with the spread of radios and gramophones in Egyptian households which considerably aided her rise to fame. Already at the age of 14 her voice was aired on Egyptian radio. 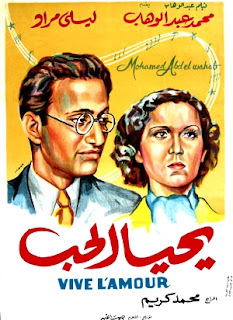 Film poster of "Yahya al Hub"
In 1938 Muhammad Abdel Wahab, an associate of her father and a pioneer of the musical film genre recognised Leila's talent and offered her to perform alongside him in his next movie. The success of "Yahya al Hub" "Long Live Love" established Mourad among the top Egyptian movie stars. Her career further flourished under the tutelage of Togo Mizrahi, a successful Jewish Egyptian director, producer and screenwriter, who gave her the leading roles in five of his musical romances. Leila soon became so popular that her name became a trademark and was used by producers in film titles, such as "Leila Bint al-Fuqara" ("Leila, Girl from a Poor Family"), "Leila Bint el-Reef" ("Leila the Country Girl"). 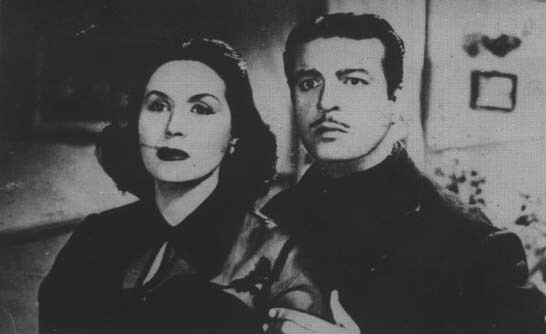 In 1945 Leila married co-actor and director Anwar Wagdi. Though their marriage only lasted for six years, the two are still considered to be one of the most successful artistic couples in history, who co-starred in ten movies together. A year after the wedding, Mourad converted to Islam, a notion that reportedly upset her family, especially her father. It is generally assumed that she converted in order to please her husband and out of concern for the future of any children the couple might have. Leila alongside her husband Anwar Wagdi in "Darling of the Soul"
After her divorce in 1951 rumours started spreading that Leila had visited the State of Israel and had further donated 50,000 Egyptian pounds to the Jewish state and its army. Many Egyptian commentators speculate that Wagdi was responsible for the rumour as a way to harm his successful ex-wife. The rumour shook the Arab world and led to Leila being called for judicial investigations by the Egyptian authorities and to her films and songs being banned and boycotted by many Arab countries. Eventually, however, the publication of details of her bank accounts proved her innocence and the local Egyptian press started to restore her good name by showing images of her as a devout Muslima. According to Egyptian sources Gamal Abdel Nasser made the removal of the ban on Mourad's work a condition for his agreement to the unification of Egypt and Syria in the United Arab Republic in 1958. 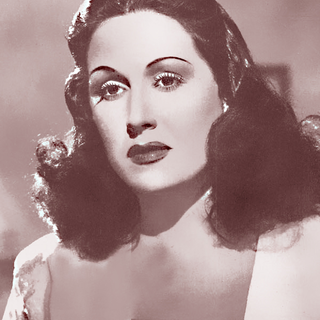 Although she was cleared of the accusations against her and managed to regain her popularity in Egypt and beyond, Leila publicly declared the end of her acting and singing career in 1954. While she gave no explanations for her unexpected decision at the pinnacle of her career, it is widely assumed that Nasser's coming to power in the same year, and a deepening of Egypt's role in the Arab-Israeli conflict contributed to her withdrawal from public. 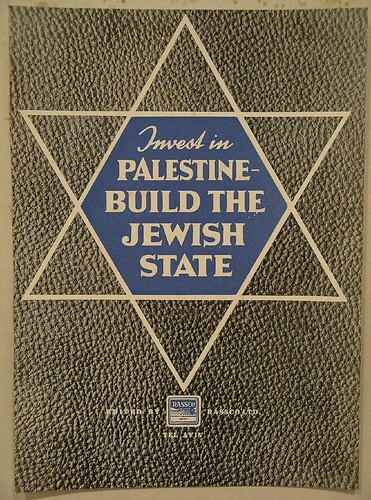 In the following years, especially after the Suez Crisis in 1956, more and more Jews left the country, many of who were forced to sign a declaration that their departure was voluntary and that they agreed to the confiscation of their assets. Following the accusations against her, Leila tried to distance herself from other Egyptian Jews, including her own family. 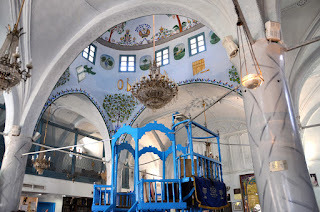 In the years following the Six Day War in 1967, Egyptian Jewish men between the ages of 17 and 60 were rounded up, incarcerated and tortured in the notorious detention camps of Abu Za'abal and Tura. Among the internees was Itshak Zaki, one of Leila's brothers. Though after a year of incarceration family visits were allowed, Leila never came to visit her brother. Like the vast majority of the incarcerated Jews, Leila's brother's citizenship was eventually revoked and he was deported out of the country. Leila reportedly did not even see him off at the airport. Leila Mourad remained in total seclusion until her death in 1995, and even refrained from participating in a ceremony honouring her by the Cairo International Film Festival in 1992; her son received the award on her behalf. Even after her death the question of her "real" affinity did not cease to be asked, which reportedly prompted her sons to assure the public in print that she was buried in a Muslim cemetery, not a Jewish one. Leila Mourad nonetheless continues to be loved by the Egyptians no matter her Jewish background. In 2009 a Syrian director created a popular series on the life of Mourad, the unique Jewish Eyptian diva.